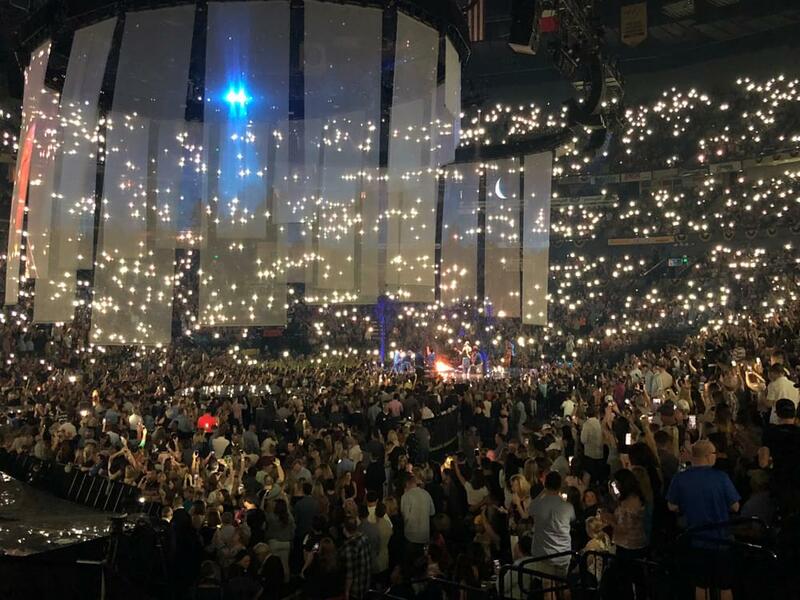 Justin Timberlake treated fans at Nashville’s Bridgestone Arena to a two-hour set during his Man of the Woods Tour on May 9. During the second hour of the Man of the Woods show, an unannounced Chris joined Justin to duet “Say Something,” a tune the pair collaborated on for Justin’s 2018 Man of the Woods album. After the song, Justin let the fans know that Chris’ night wasn’t over yet. “Now you know I can’t let you leave without playing this song,” said Justin as his band began jamming “Tennessee Whiskey,” which prompted Chris to unleash his vocals. Watch Chris and Justin sing “Tennessee Whiskey” below.